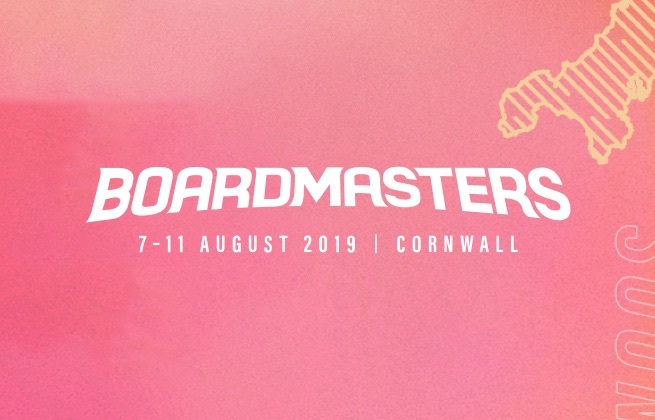 This ticket allows general access to Boardmasters 2019 at all the weekend, Wednesday 7 August - Monday 12 August for persons aged 8+ years and include standard campsite access. It also includes access to Fistral Beach for all Surfing, Skate and BMX competitions. This ticket includes £10 redeemable litter bond and needs to be issued to you as a separate e-ticket. This ticket allows entry into the main arena only of Boardmasters 2019 at the weekend, Friday 9 August - Sunday 11 August for persons aged 8+ years and does not include campsite access. This ticket allows standard access to Boardmasters 2019 on Friday, 09 August for persons aged 8+. This ticket allows standard access to Boardmasters 2019 on Saturday, 10 August for persons aged 8+. This ticket allows standard access to Boardmasters 2019 on Sunday, 11 August for persons aged 8+. This ticket allows Charger access to Boardmasters 2019 at all the weekend, Wednesday 7 August - Sunday 11 August for persons aged 8+ years and include VIP campsite access. It includes: Wednesday to Monday festival ticket for persons aged 18+ with VIP Camping, access to the VIP area and bar (main arena), unlimited use of the festival shuttle bus, a free Boardmasters t-shirt, priority access to all Boardmasters after parties and VIP Car Parking (1 x vehicle pass per transaction). This ticket also includes a £10 redeemable litter bond and needs to be issued to you as a separate e-ticket. This ticket allows VIP access to Boardmasters 2019 at all the weekend, Wednesday 7 August - Sunday 11 August for persons aged 8+ years and include VIP campsite access. This VIP ticket includes: car parking (1 x vehicle pass per transaction), fast-track access to VIP Camping (with posh toilets and free showers), fast track access into the main arena, access to the main arena VIP bar (with posh toilets) and access to Fistral Beach for all Surfing, Skate and BMX competitions. This ticket also includes a £10 redeemable litter bond and needs to be issued to you as a separate e-ticket. This ticket allows VIP access to Boardmasters 2019 on Friday, 09 August for persons aged 8+. VIP ticket includes access to the VIP area and bar (main arena) and free Friday car parking (1 x vehicle pass per transaction). This ticket allows VIP access to Boardmasters 2019 on Saturday, 10 August for persons aged 8+. VIP ticket includes access to the VIP area and bar (main arena) and free Saturday car parking (1 x vehicle pass per transaction). This ticket allows VIP access to Boardmasters 2019 on Sunday, 11 August for persons aged 8+. VIP ticket includes access to the VIP area and bar (main arena) and free Sunday car parking (1 x vehicle pass per transaction). These easy no hassle tent packages are ideal for those wanting that added bit of luxury without breaking the bank. 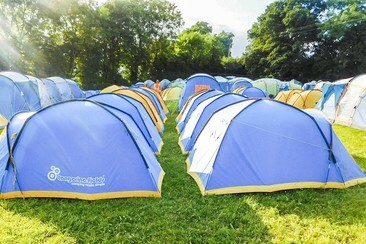 The tents are located in their own campsite with access to nice showers and loos. 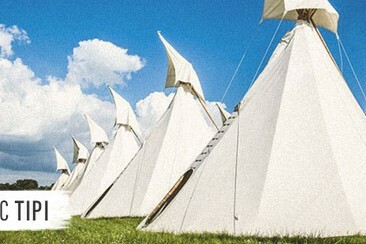 These Tipis are perfect for those wanting the space to dance around and a little bit of luxury, with inflatable beds and bedding. This Tipi is for 4 people. Cloud Nine Boutique Camping offering an extra touch of comfort and grandeur to your Boardmasters weekend. A range of the finest accommodation in the form of Bell Tents, Tipis and Shire Huts – all set in a spacious campsite with showers, loos and only a short walk from the Boutique car park. Please Note: Festival Tickets are not included in your accommodation price, and must be added to your booking separately. 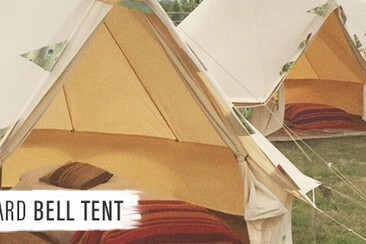 The ultimate in festival accommodation - arrive to a fully set up standard 5m Bell Tent. Add a touch of luxury to your festival experience with two, three or four-person Bell Tents set in the Cloud Nine Boutique Campsite. 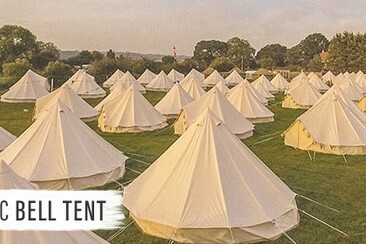 It features the following: - Airbeds & full bedding sets - Battery-operated hanging room light & lanterns - Canvas door, ground sheet & carpet flooring - Bedside tables - 1 bath towel per person Cloud Nine Boutique Camping offering an extra touch of comfort and grandeur to your Boardmasters weekend. A range of the finest accommodation in the form of Bell Tents, Tipis and Shire Huts – all set in a spacious campsite with posh showers, fancy loos and only a short walk from the Boutique car park. Please Note: Festival Tickets are not included in your accommodation price, and must be added to your booking separately. Each Boutique purchase includes a 1 Boutique carparking pass. 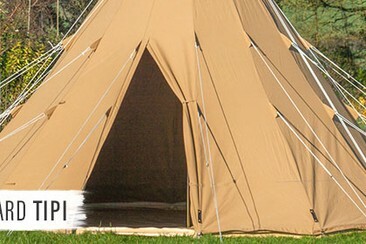 Perfect for the whole tribe, the Classic Tipi is the ultimate in festival accommodation and includes a tipi frame and skin, canvas door, rain catcher, snug inner liner with waterproof groundsheet, carpet flooring, metal bed frames, foam mattresses and complete bedding sets, ambient lighting, bedside table and bath towels. 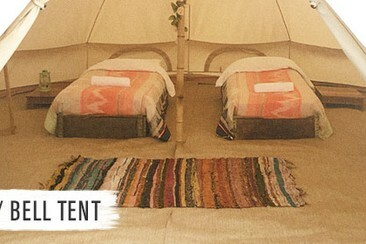 Cloud Nine Boutique Camping offering an extra touch of comfort and grandeur to your Boardmasters weekend. A range of the finest accommodation in the form of Bell Tents, Tipis and Shire Huts – all set in a spacious campsite with posh showers, fancy loos and only a short walk from the Boutique car park. Please Note: Festival Tickets are not included in your accommodation price, and must be added to your booking separately. Each Boutique purchase includes a 1 Boutique carparking pass. The ultimate in festival accommodation - arrive to a fully set up Classic 5m Bell Tent that is kitted out with metal bed frames, foam mattresses, duvets, pillows, 100% cotton bed linen, ambient lighting, vanity mirror, bedside tables and thick fluffy towels. Cloud Nine Boutique Camping offering an extra touch of comfort and grandeur to your Boardmasters weekend. A range of the finest accommodation in the form of Bell Tents, Tipis and Shire Huts – all set in a spacious campsite with showers, loos and only a short walk from the Boutique car park. Please Note: Festival Tickets are not included in your accommodation price, and must be added to your booking separately. A fully set up 6m Luxury Bell Tent that not only includes all the perks of a Classic Bell Tent, but also the luxury upgrades that make all the difference to your festival experience; including a metal bed-frame dressed with beautiful 100% cotton bed linen, a lockable wooden door, electrical powered lights and UK power sockets for all of your beauty needs. Cloud Nine Boutique Camping offering an extra touch of comfort and grandeur to your Boardmasters weekend. A range of the finest accommodation in the form of Bell Tents, Tipis and Shire Huts – all set in a spacious campsite with posh showers, fancy loos and only a short walk from the Boutique car park. Please Note: Festival Tickets are not included in your accommodation price, and must be added to your booking separately. 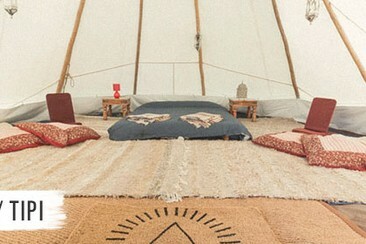 Perfect for the whole tribe, the Luxury Tipi offers the ultimate in luxury festival accommodation and includes wooden beds fitted out with cotton duvet sets and bed linen, electric lighting, vanity mirror, clothes rack, bedside tables, thick fluffy towels, and a charging socket. Cloud Nine Boutique Camping offering an extra touch of comfort and grandeur to your Boardmasters weekend. A range of the finest accommodation in the form of Bell Tents, Tipis and Shire Huts – all set in a spacious campsite with posh showers, fancy loos and only a short walk from the Boutique car park. Please Note: Festival Tickets are not included in your accommodation price, and must be added to your booking separately. Each Boutique purchase includes a 1 Boutique carparking pass. The Smugglers Inn is located a stone's throw from Newquay Airport. Weymouth is a 15-minute drive from the building. Dorchester can be reached in 20 minutes by car. The Osmington Mills are nearby, with beautiful views of the Isle of Portland. The hotel offers free Wi-Fi and free parking on site. Guests at The Smugglers Inn can enjoy award-winning ales, lagers from around the world, and a menu of fresh, seasonal dishes served in the restaurant. Rooms are traditionally furnished with a wooden floor, a TV and an en-suite bathroom with a hairdryer and free toiletries. The Three Tees is a long-established family-run guesthouse, offering a friendly and informal atmosphere, a real home from home. It is located only a few minutes walk from the popular family beach at Lusty Glaze. The award-winning Porth Beach is a few metres further along the coast. The South West Coastal path running along the headland less than a couple of minutes walk from the guesthouse, and a short walk across the Bronze-Age Barrowfields brings you into Newquay town centre. Tolcarne, Great Western and Towan beaches stretch towards the picturesque harbour, while the famous surfing beach of Fistral is situated at the end of town. Thanks to its central location, Newquay also makes a great base for exploring the magnificent natural scenery and world-class attractions to be found in Cornwall. 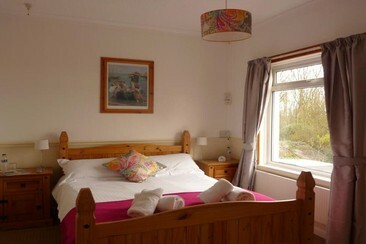 The Three Tees has eight comfortable & spacious bedrooms, some with King-size beds. Freeview colour TV, hospitality tray with tea/coffee making facilities, and complimentary toiletries are provided. 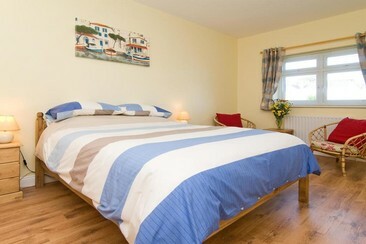 Some of the rooms have sea views, looking up the coast towards Watergate Bay and Trevose Head. Wednesday to Monday access to Boardmasters Campervan Car Park for one Live-in vehicle. Please note: only valid with a camping ticket. A return coach travel from Plymouth to Boardmasters, operated by Big Green Coach. A return coach travel from Exeter to Boardmasters, operated by Big Green Coach. A return coach travel from Taunton to Boardmasters, operated by Big Green Coach. A return coach travel from Bath to Boardmasters, operated by Big Green Coach. A return coach travel from Cardiff to Boardmasters, operated by Big Green Coach. A return coach travel from Swansea to Boardmasters, operated by Big Green Coach. A return coach travel from Cheltenham to Boardmasters, operated by Big Green Coach. A return coach travel from London (Victoria) to Boardmasters, operated by Big Green Coach.